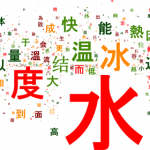 Learning Chinese Characters – Do you need them or not? Learning Chinese Characters - Do you need them or not? Let's learn something about learning Chinese characters. 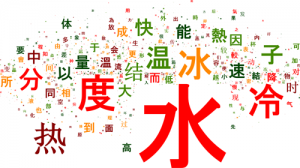 See how they developed and how they can help you with learning Mandarin language. Do You Need to Learn Chinese Characters or Not? This question is probably the most common one amongst people who are thinking about learning Mandarin Chinese. There is a big debate in the online world and even at language schools all over the world about this. So you might assume that you will be good if only you can speak Mandarin, right? Well, the advantage of speaking first was only temporary. The students that actually learned the characters together with speaking started to develop also some kind of visual memory and more characters they could recognize, they started to see certain patterns that helped them to grasp more and more characters much faster. It is difficult to explain, but after you watch this video made by Shaolan’s Chineasy, you will see what I mean. Basically, you can use each character as a building blog for the next one. So more basic building blocks you know, more characters you will be able to master. So, after watching this video, I hope you change your minds about learning Chinese characters. It is so fun and you will develop more brain power, which will help you even in other aspects of life. All you need is some concentration and the will to get started. I think that the best way is to learn to speak Chinese couple days in a week and the rest focus on learning the characters. Or maybe learn the characters in the morning and speak during the day. But do not try to learn everything in one session. Make sure you seperate those two aspects of learning Mandarin language. Of course if you are going or are living in Chinese speaking environment, you need to focus on spoken Mandarin first. But around you there will be so many opportunities to see the characters that you really will start understanding their importance. I believe without knowing the Chinese characters, your language skills will be incomplete. The Chinese writting system is one of the oldest in the world. It’s more than 5000 years old and the legend says that the person who put it together was Cang Jie. Even in today’s society, one method of using Chinese characters to write on PC is named after him. But one of the oldest writings were found in town next to Xi’an called Banpo. 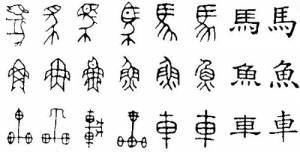 Archeologist found bones with Chinese characters on them and many agreed that it is around 6000 years old! Now only that makes me to learn how to write Chinese characters, because I feel like I am part of this old history of the Chinese culture. Pictographs — 象形 – Xiàngxíng — these are the ones that are having similar shape and are simplified versions of some concrete charater, like for example 日- Rì – Sun or 月- Yuè – Moon. Ideographs — 指示 – Zhǐshì — they are graphic representation of some abstract ideas, usually they are poiting at things, positions etc. Like for example: 上 – Shàng – up, over or 下-xià – below. Compound ideographs — 会意 – Huìyì — joined meanings, these are basically compounds of two or more characters that will create new compound character. For example: 武 – Wǔ – millitary and 信 – Xìn – trust. Phonetic compounds — 形声 – Xíngshēng — these means form and sound, so these characters will combine visual meaning element with phonetic element. For example: 江- Jiān – river and 河 – Hé – river. Derivative congnates — 转注 – Zhuǎnzhù — reciprocal meaning. These characters have new written form that better reflects the changed pronunciation. Example: 考 – Kǎo – passed away father, 老 – Lǎo – old. Phonetic Loan Characters — 假借 – Jiǎjiè — these characters were representing homophone unrelated to the meaning of the new word they represent. Like: 领 – Lǐng – to lead or 长 – leading. But that was only for your information. Once you start learning to read and write Chinese charaters, you will discover more about these six categories. You will more likely to hear the word Chinese radicals. These are the base building blocks that you will need to remember. The modern language has 214 of these characters. When you will know them, it will help you to find unknown words in Chinese dictionary. They are grouped based on number of strokes. Now that is another reason why you need to know exactly how to write these characters, because you will know how many strokes you need to make it. Once you know the number of strokes, you will safe a lot of time when trying to look for the character you do not know in the dictionary. Later I will write some posts about these radicals and how to learn them correctly. If you want to learn how to write Chinese characters correctly, you need to follow the right stroke order. Here I would like to introduce you this cool little application that can help you to learn any character you want. For now, I hope that this introduction to Chinese characters gave you some good information and that you will start on the journey of mastering the world oldest writing system ever created. Do not worry about how long it will take to learn all the characters. Just learn one by one and do practice everyday. Withing one year you will already be able to read some texts in the restaurant, on the street and even the newspapers.